Redistricting Watch: Primary Trouble for Tim Holden? At first glance, it may seem that the GOP would be doing Democrat Tim Holden a favor if they follow through with plans to add Lackawanna County to his district. But with Holden’s blue-dog vulnerability in a Democratic primary, it might be more of a mixed bag. In 2010, Holden was ranked as the 14th most conservative Democrat by the National Journal Annual Ratings, a reflection on a consistent trend in Holden’s career. 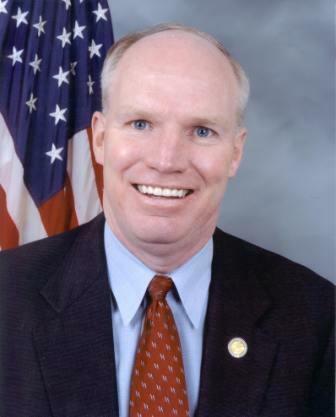 He voted against the health care law, and has universally sided with his district’s agriculture community against some environmental regulations. His independent voting record is part of the reason Holden, now the senior Democrat in the PA delegation, has done so well in the GOP-leaning 17th district. During last year’s Republican wave for example, Holden won with 55.5 percent of the vote. That nearly matched the 56.3 percent percentage of U.S. Rep. Allyson Schwartz, who represents a district considered much safer for Democrats. That same independent record could be a liability for Holden in a primary, especially if Holden draws more than one challenger. Holden would be most vulnerable in a primary if he faces a favorite son of Lackawanna County at the same time as a member of the African American community in Harrisburg. An educator and community activist, Shiela Dow-Ford challenged Holden in 2010. She drew on support from progressives upset over Holden’s health care vote and her African American base in Harrisburg. Dow-Ford is rumored to be looking at another challenge to Holden, though PoliticsPA was unable to reach her for comment. Current GOP redistricting plans would move potential 2012 candidates, including Lackawanna County Commissioner Corey O’Brien and Scranton Mayor Chris Doherty, out of freshman Republican Lou Barletta’s district and into Holden’s. O’Brien, with the backing of union endorsements, was called “the most competitive House primary challenger in the country” when he challenged incumbent Rep. Paul Kanjorski last year. Doherty’s ambitions are fairly clear. He has run for Governor and State Senate in the past year. Eric Nagy managed Tim Holden’s campaigns in 2010, including his 65 – 35 percent primary win over Dow-Ford. He’s also worked in Northeast PA. The GOP attempted to draw Holden out of a district in 2001, only to have the wily former Schuylkill County Sheriff defeat senior Republican Congressman George Gekas. There is a long way to go before the new map is finalized, but Holden, no stranger to redistricting challenges, isn’t laying back. Sources confirm that Holden actively maintains good relations with Democrats in counties surrounding the 17th district. Whitney Roper contributed to this report.